Steven Fogarty scored twice for the Wolf Pack Sunday at Bojangles’ Coliseum in Charlotte, NC, but Aleksi Saarela had two goals, and Jake Bean a goal and an assist, for the Charlotte Checkers in a 6-2 Charlotte win. That result gave the AHL-leading Checkers a sweep of a two-game set between the two teams in Charlotte, after a 3-1 Checker win Saturday night over the Wolf Pack. Charlotte controlled the first period Sunday, outshooting the Wolf Pack 15-5 and building a 3-0 lead. It took only 69 seconds for the Checkers to open the scoring, on a rebound goal by Tomas Jurco. 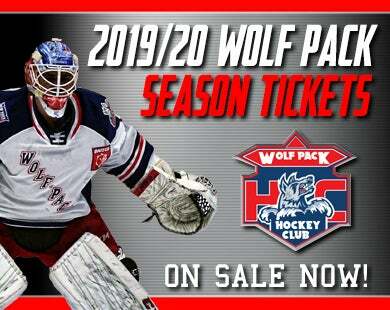 Wolf Pack goaltender Adam Huska (28 saves) stopped a shot from the left point by Bean, but Jurco found the rebound and backhanded it in. 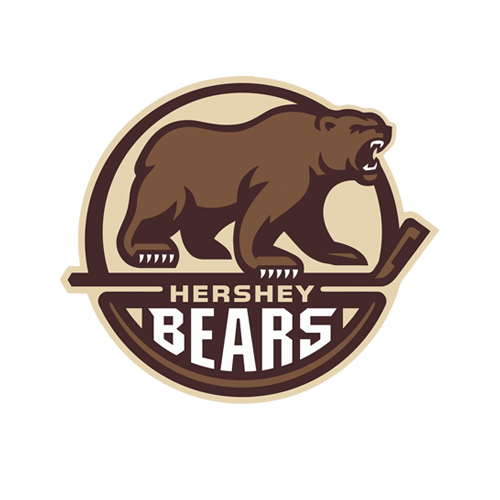 Bean made it a 2-0 lead at 10:34, taking a pass from the left point by Haydn Fleury and snapping a shot from the right point through a screen and past Huska. The lead grew to 3-0 on a goal by Saarela, with only 17.2 seconds left in the first. After a neutral-zone turnover by the Wolf Pack, Dan Renouf fed a cross-ice pass to Saarela, who ripped a bullet of a shot from near the right faceoff dot past Huska on the stick side. The Wolf Pack got right back into the game with two early goals in the second period, both by Fogarty. 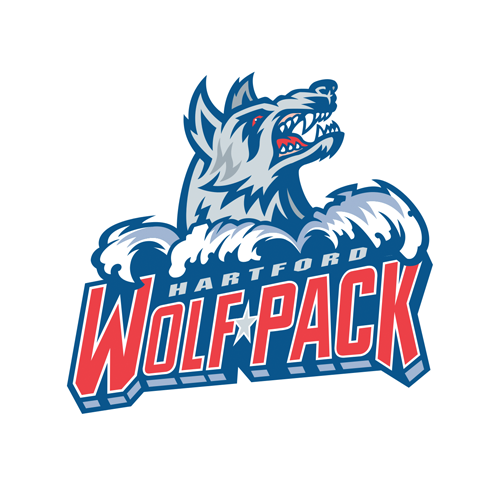 Fogarty got Hartford on the board only 57 seconds into the second, as a Bean pass was broken up, allowing Fogarty and Ryan Gropp to come in on Checker goaltender, and former Wolf Pack, Dustin Tokarski (24 saves), on a 2-on-0. Gropp found Fogarty for an easy finish to Tokarski’s right. Then, at 4:25, Fogarty cut Charlotte’s lead to 3-2 with his 19th goal of the season. Fogarty took the puck away from Nick Schilkey just inside the Checker line and went in alone on Tokarski. Fogarty faked to his forehand, and then reached around Tokarski to slip the puck in on the backhand. Charlotte would answer with a pair late in the session, though, to restore the three-goal margin. Morgan Geekie made it 4-2 at 15:26, deflecting a fling from the left-wing boards, just inside the blue line, by Andrew Poturalski past Huska. Nicolas Roy then scored an unassisted goal with 60 seconds left in the period. He pushed the puck past Fogarty on a draw to Huska’s right, and then recovered it in front of the goal and rapped it into the net. Saarela completed the scoring with his second of the game at 13:36 of the third period, five seconds after a slashing penalty to Fogarty ended. Huska sprawled down on his belly to stop two close-in shots, but Saarela found a loose puck at the right side of the goal mouth and was able to backhand it over Huska and in. 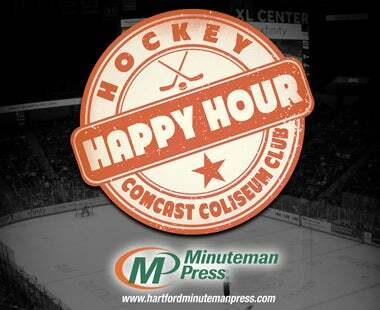 The Wolf Pack’s next game is back on home ice at the XL Center this Friday, March 29, also against the Checkers. Faceoff is 7:15 PM, and, as at all Friday-night Wolf Pack home games, fans can enjoy $1 hot dogs, and $2 beers and fountain sodas, through the start of the second period, presented by Nomads Adventure Quest. 2nd Period-4, Hartford, Fogarty 18 (Gropp), 0:57. 5, Hartford, Fogarty 19 4:25. 6, Charlotte, Geekie 16 (Poturalski, Renouf), 15:26. 7, Charlotte, Roy 17 19:00. Penalties-Gettinger Hfd (elbowing), 1:15. 3rd Period-8, Charlotte, Saarela 24 (Brown, Didier), 13:36. Penalties-Roy Cha (tripping), 2:55; Fogarty Hfd (slashing), 11:31. Shots on Goal-Hartford 7-9-10-26. Charlotte 15-9-10-34. 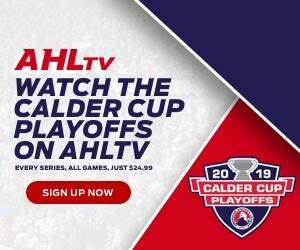 Power Play Opportunities-Hartford 0 / 1; Charlotte 0 / 2. Goalies-Hartford, Huska 1-2-0 (34 shots-28 saves). Charlotte, Tokarski 13-6-2 (26 shots-24 saves). Referees-Corey Syvret (42), Jesse Gour (25). Linesmen-Scott Senger (28), Ben Shiley (21).